Blocked drains are one of the most common problems faced by people in a bathroom or kitchen. Most of the times, this problem can be taken care of by the people living in the house and you do not have to call a plumber or a drainage consultant. However, there are other times when the problem is worse and you have to consult a plumber. In such situations, you may have to spend some extra money which could have been avoided if you would have taken necessary precautions. The fact is that you can only take precautions if you know the cause of the problem. Therefore, in this article, we will tell you about some main reasons for drain blockages in your home. 1) Debris - The most basic reasons for a blocked drain is debris or foreign objects which are stuck in drain pipes or other pipes which are underneath. These may be pieces of food, soaps, hair etc. In the beginning, these materials do not block the drain. They only cause a major problem once these things begin to collect over a period of time. Therefore, you can easily take care of such problems if you recognize them in time. Just take out the pieces of soap, food or hair to unblock drains. You can also cover the mouth of the drain with a net so that nothing except water goes through. 2) Rains - Heavy rains may also cause problems for outside drains. Downpours, storms or heavy rains may block the drain pipes with leaves, dirt, mud etc. Drains in your home are usually designed to handle a limited amount of water flow from your kitchen or bathroom. They are not designed for heavy rains and therefore, blockage is common during heavy rains or storms. Heavy rains cause severe blockages and you should immediately call a drainage consultant. Such blockages may even flood your property. 3) Cracks or broken pipes - When there are cracks in a drain pipe, water does not flow freely. Therefore, there may be blockages. There is also a chance that the pipe might eventually break and block the flow of water. Pipes may crack or break because of poor installation. Therefore, it is necessary that you hire a good company while installing drainage pipes. A skilled drainage consultant would make sure that the pipes last longer. The same happens if pipes have been installed incorrectly. Due to incorrect joints, water flow may be blocked and this may result in blockage. Hiring a good consultant is a must to ensure that there are no errors during installation. 4) Water flow - As strange as it may sound, even the flow of water can cause blockage in drain pipes. 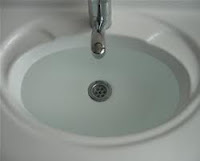 If the flow of water is inadequate because of different factors like a broken net, incorrect fixtures etc. there may be severe blockages. However, you should always consult a good plumber or a drainage consultant to unblock drains, if you feel the problem may get worse.